Hello there! I am really trying to keep the “baby” part of my life separate from this blog. I figure you are here for food, recipes, garden stuff, home stuff, and probably really aren’t into the progress of my pregnancy. I honestly don’t blame you, it really isn’t glamorous, lol. And for those of you who don’t care about that stuff, I’m posting pizza ideas here tomorrow! I love pasta salad, like really love it. No matter how it’s dressed up, sauced up, garnishes added, I love it all! And I love it best when it virtually makes itself! I mean really, who doesn’t like food that prepares itself??? It might be Winter (well the end of) but somewhere, someone besides me is craving pasta salad. So I’m gonna go ahead and share this recipe with you now. It is the EASIEST pasta salad you will ever make and definitely one of the most delicious you will ever have! I love it as a quick and easy side for a meal, but I also love to make it ahead on a Sunday afternoon and then eat it throughout the week for lunches or snacks. You can add some grilled chicken for a perfectly balanced meal, and sometimes I even add some cheddar. Sugarbush Farm Cheddar of course. Without further Ado, here is the recipe! Put a good size pot of water on to boil, salt the water well. 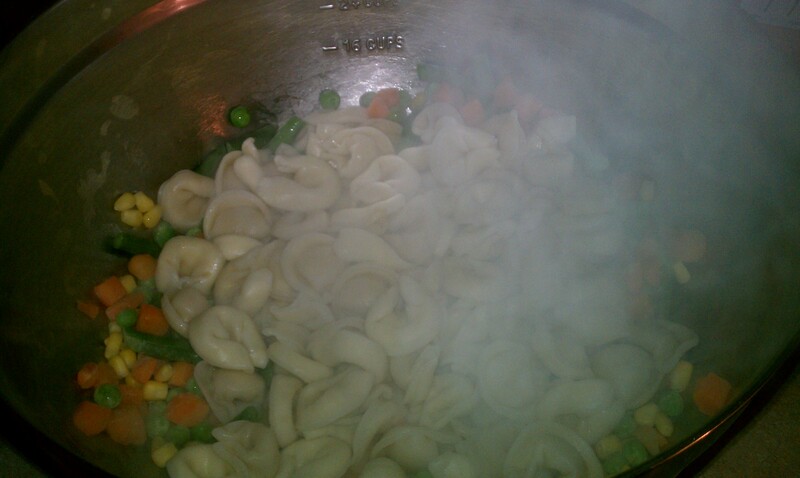 When the water comes to a boil, add in the tortellini, stir, recover and cook for 5 minutes stirring occasionally. When the 5 minutes is up, taste one. Is it done but still al dente? If not give it another two minutes. 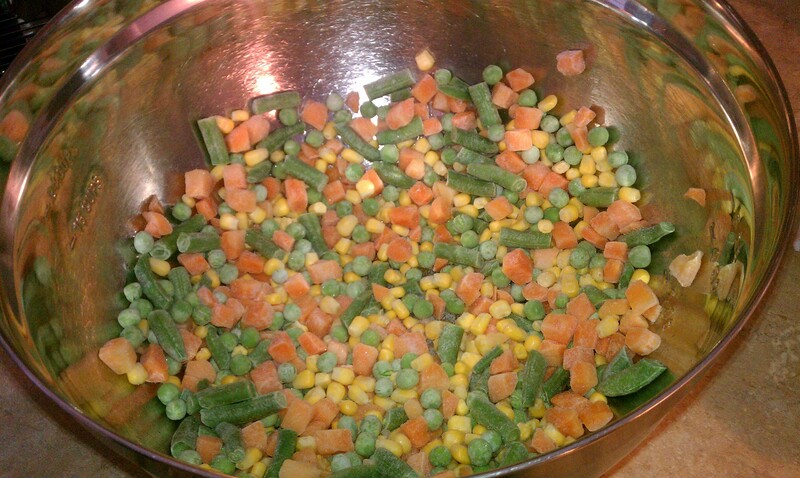 Immediately after draining toss on top of all those frozen veggies and use a rubber spatula to combine well. 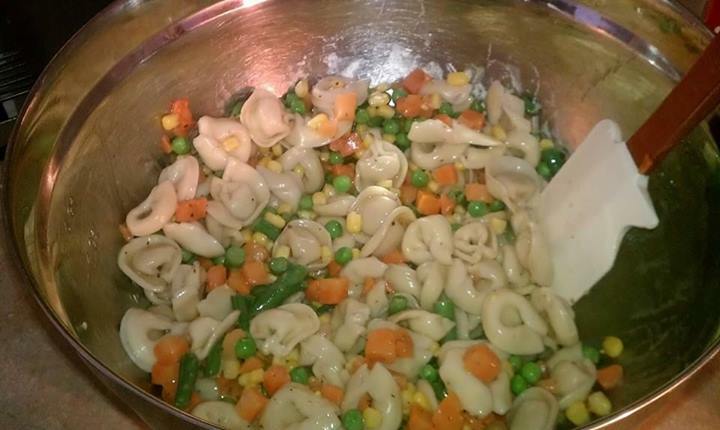 the frozen veggies cool down the pasta and the pasta warms up the veggies. Seriously, could it be any more perfect? 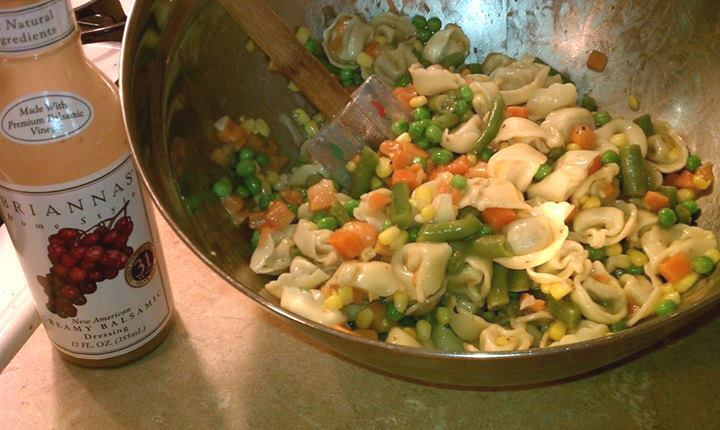 Shake the Brianna’s dressing well and sprinkle about half a bottle on the tortellini/veggie mix. Allow to sit out for about an hour before meal time, mixing every once in a while. That will make sure everything soaks up the dressing evenly. If you want you can add some salt and pepper, but you don’t need to, the dressing is pretty perfect in itself. There you have it, serve and enjoy! Now to let it all soak in. *Dislcaimer, I use Brianna’s salad dressing for my food in my home and my recipes here because I love it and love what it stands for. It doesn’t have crap in it, it is good and good for my body. 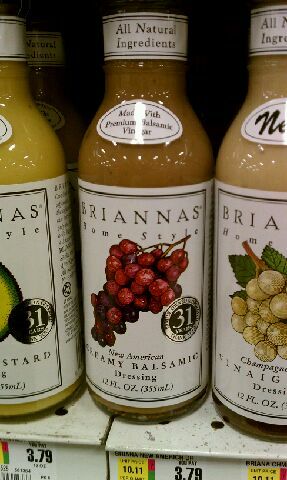 Brianna’s dressings has no clue that I exist or that I am writing this recipe. All opinions are 100% my own and I never EVER support, work with, or advertise for a company I do not 100% believe in, compensated post or not.